Bieber, Justin – The Biebs briefly posted a photo of himself with Selena Gomez, indicating they may be on again, after being off again, after being on again. Come on, Justin, quit acting like some love-besotted high-schoo…oh, right. Diamond, Neil – In a touching tribute to Boston, Diamond himself sang Fenway’s eighth inning ritual “Sweet Caroline” on Saturday. Note: this is the only acceptable unironic rendition of “Sweet Caroline.” Sorority functions and white people’s weddings do not count. Kardashian, Kim – KK and disposable hubby Kris Humphries are now divorced, allowing you to breathe a sigh of relief that a union you had completely forgotten and really didn’t care about in the first place has been officially dissolved. Lochte did not have time to elaborate on his views regarding the Fed’s monetary policy and a potential return to the gold standard. Lochte, Ryan – The Olympic swimmer promoted his E! reality show What Would Ryan Lochte Do by doing, among other appearances, a Good Day Philly morning show interview. 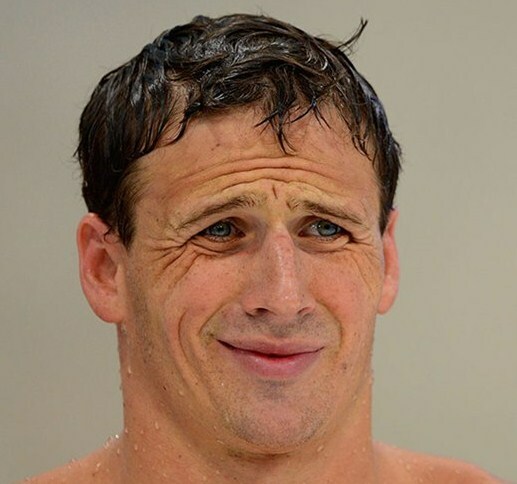 Apparently, Lochte would get stumped by the simplest of questions and reduce the hosts to hysterics. Mayer, John & Aniston, Jennifer – People Magazine reports that the erstwhile couple almost came into contact with each other when Mayer dined just two tables away from Aniston and fiancé Justin Theroux at West Hollywood’s Sunset Tower. Reports have it that Mayer saw Aniston, but that the two somehow maintained decorum like mature adults and did not flip over tables and hurl drinks at each other. Shocking news, to be sure.